About 4,000 U.S. residents every year or 11 people every day are killed in accidents involving large trucks. 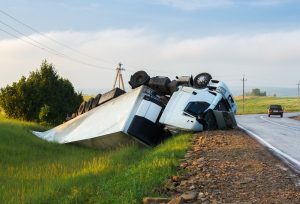 In addition, more than 70,000 people are injured yearly in large-truck accidents, according to the Federal Motor Carrier Safety Administration. Trucks weigh 20 times as much as passenger vehicles and are huge in comparison. When there is a large-truck crash, the results for all involved in the accident are often devastating. Death and injuries are all too common when trucks collide with passenger vehicles or with other commercial vehicles. “Motor vehicle crashes are complex events. Usually they involve two or more vehicles. Elements that influence the occurrence of a crash may take place hours, days, or months before the crash. They include driver training and experience, vehicle design and manufacture, highway condition and traffic signaling, and weather conditions. Other elements may take place immediately before a crash, such as a decision to turn in traffic, a tire blowout, or snow. Crash reconstruction experts rarely conclude that crashes are the result of a single factor. Driver error causes 10 times as many accidents as all other factors, the administration reports. Other areas where truckers or their trucking-company employers may be negligent is having outdated or malfunctioning equipment, improperly loading trailers or hiring truckers or carriers who are not suited for the job. If you have been injured or a family member has been injured or killed in a wreck involving a large truck, the Krasney Law firm of San Bernardino would like the opportunity to investigate and see whether you are due compensation. We vigorously pursue legal actions against truck drivers and the companies who employ them when they break California or federal laws by being impaired, speeding, having faulty equipment or exceeding the limits on driving between sleep and rest periods. In addition to the factors you can see in the table above, trucking companies may hire drivers with too little experience or inadequate driving records to operate their vehicles. These factors plus unsafe operation may contribute to a trucker’s or trucking company’s negligence in a crash. That said, most truck drivers are skilled and experienced. 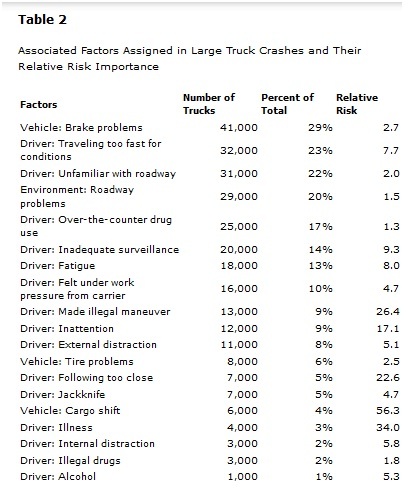 You can read in the chart that impaired driving accounts for just 3 percent of accidents involving large trucks. But just the sheer size and weight of their vehicles add to the danger of an accident. Inadequate training with respect to safety concerns, defensive driving and driving techniques. Pay that is based on performance and delivery times that encourage faster, unsafe speeds and longer time behind the driving wheel than is safe. Trucking companies’ hard-driving schedules that cause drivers to hurry despite the dangers of speeding and other safety risks. Drivers can take steps to reduce their chances of getting in an accident with a large truck by being aware of truckers’ limitations on seeing your vehicle and being aware of trucks’ long braking distances. Don’t driver behind or beside a truck because the driver has limited or no ability to see you there. Do not change lanes abruptly or without signaling when driving in front of a truck. Merge into traffic properly so trucks don’t have to slam on the brakes or attempt a maneuver that is beyond the capability of their large, clumsy vehicles. Don’t make a left turn in front of a truck as it approaches an intersection in case you’ve misjudged the trucks’ speed. When pulling into traffic from the shoulder in front of truck, accelerate at a great enough speed that you and the trucker are not in danger of colliding. Slow down or speed up as needed when a truck begins to merge or change a lane. Be cautious of being blown out of position by a cross-wind or air turbulence when passing trucks. When possible, try not to drive between two large trucks. Get well beyond the truck when passing before you change back into your original lane. Do not get to the right of a truck when it is going to make a right-hand turn. If you get in an accident or your car breaks down, make sure to maneuver it completely off the roadway and onto the shoulder. Make sure to signal when passing a truck. 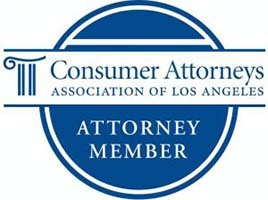 The truck-accident lawyers of Krasney Law: Personal Injury Specialists in the Coachella Valley would like the opportunity to talk to you if you’ve been in an accident with a large truck. It costs you nothing for the initial consultation, and we collect no fees unless you make a monetary recovery or your case goes to trial. 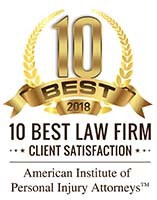 We can discuss the law, your case and whether you should file a lawsuit or take some other action to obtain compensation from a truck driver who has negligently injured you or killed one of your loved ones in a collision. Next Post: Should Bikers Swerve, Brake or Ride Right Over an Object?